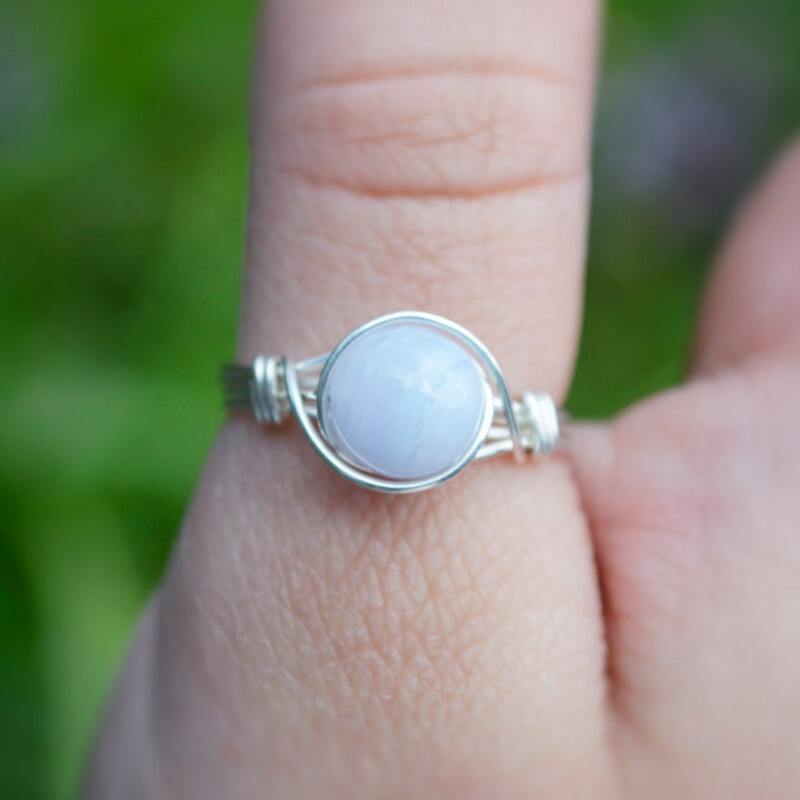 Blue Lace Agate gemstone ring, wire wrapped with sterling silver wire. Blue Lace Agate is special as it has a soft, soothing elegance promoted by the sky-blue colour and lines like a graceful flowing river. This is a stone of encouragement and support, whose circular flowing energy calms, uplifts and elevates. 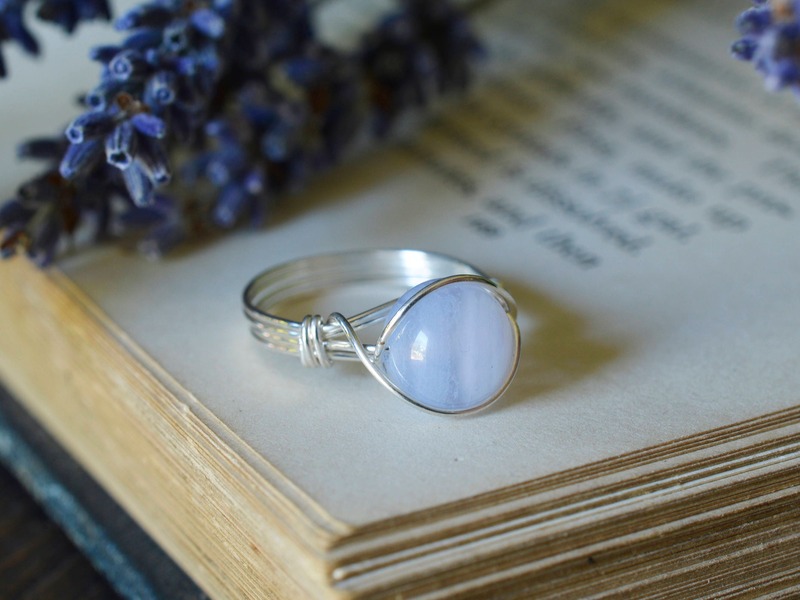 Blue Lace Agate is a stone of communication, being beneficial to the throat Chakra and enabling those who have difficulty in communication or being heard by others to gain the confidence and articulation to share their truths. It provides clarity of thought, especially when the mind is a blur of thoughts – it helps to provide calm and order. 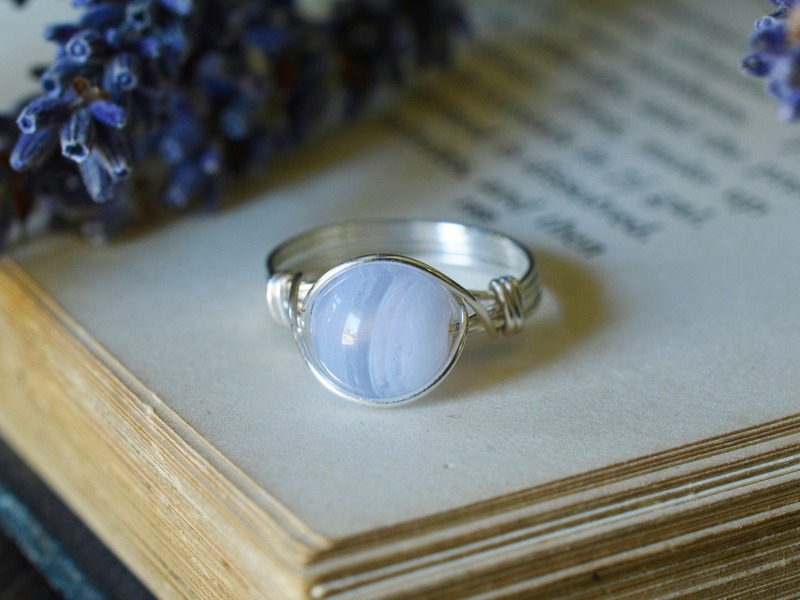 Blue Lace Agate is an ancient birthstone for those born under the sign of Scorpio, so a perfect gift for anyone with this sign! My friends want one also! The ring is really nice and well-made. Quick postage and shipping, definitely recommend.